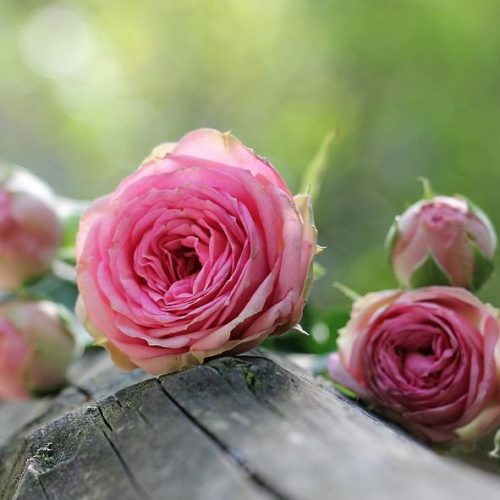 Decide whether you want rose varieties which will provide a colourful display, scent, and/or cut flowers. 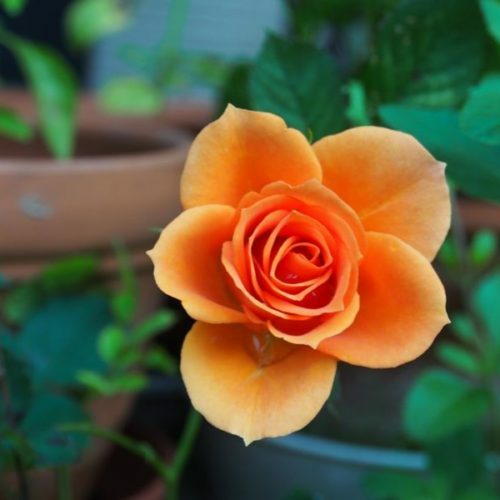 There are roses for every situation, so do make use of climbing and ground-cover roses which can also be trained up supports instead of climbers. Use floribundas which flower repeatedly for eye-catching visual impact. 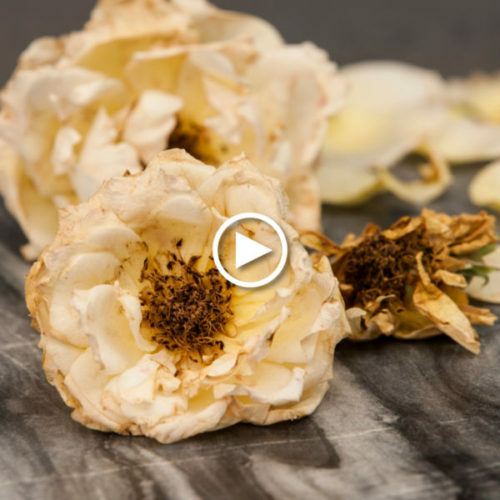 Austin roses like Leander, Allux Symphony and Molineux, which look like the old-fashioned English roses, but provide repeated flushes of flowers. Interplant full or double roses with simple, single roses. Combine ‘Crepuscule’ with ‘Duncan’s Rose’ and ‘Dainty Bess’ with ‘Chaucer’ or ‘Heritage’. Plant three roses of the same variety in one hole, about 30cm apart for an unusual but striking effect. Prepare an entire bed, rather than digging individual holes to enable the roots to spread out easily. Add a mix of one bucket of pine bark chips and one bucket of compost to every bucket of garden soil taken from the hole. Place superphosphates or bone meal at the bottom of the hole. 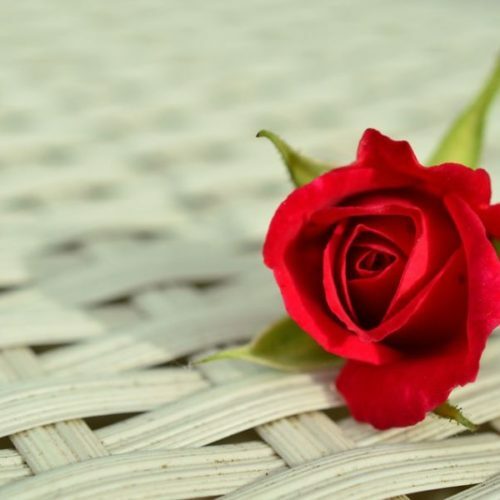 Roses prefer a fairly heavy soil with a slightly acid pH of 5,5 – 6,5. Gardens with poor drainage need the addition of more pine bark chips. The addition of gypsum will lighten clay soils. Sandy soils with poor water absorption can be improved by the addition of slow decomposing coarse compost or wood chips. Before planting into large square holes 1mx1m, the rose bush and the soil must be watered very well. Place the bud union just below the surface of the soil. Line the sides of the holes with cardboard from old wine boxes when planting roses near shrubs or trees with invasive roots to keep out the roots and hold the moisture in the soil. Take soil from another part of the garden to fill the hole when an old rose is replaced. Water daily with a hand-held hose for the first three weeks to settle the bushes without stress. Break off all flower buds until bushes produce new basal shoots to encourage more leaf growth, as this encourages them to become stronger and more vigorous.Watering and feeding. Mulch continuously to conserve water and control the soil temperature, thus protecting the many surface roots. Instead of compost, which encourages the upward growth of surface roots, mulch with pine needles, bark , wood chips or peanut husks. Water well, and less often, so that the mulch is soaked to allow water penetration to the surface roots. Cape soils are low in magnesium, so apply a dessert spoon of Epsom salts or magnesium sulphate to rose bushes 2-3 times a year. Feed with an organic fertiliser every six weeks during the growing season. 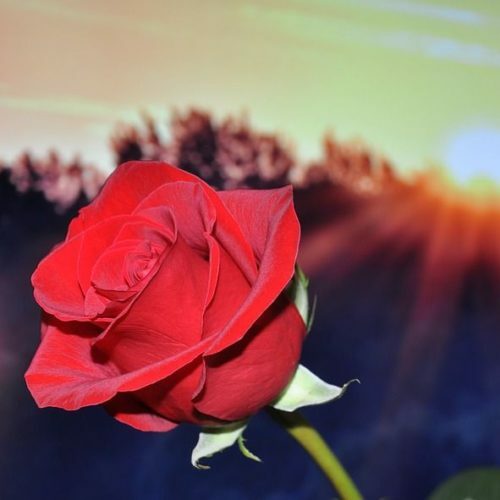 Watering – Roses benefit from deep watering 3-4 times a week. Water sufficiently so that the roots get water deep down and not just at the surface. Mulching – Mulch around the base of the rose to prevent the soil surface from drying out. Mulching also keeps the surface roots cool and prevents weed growth. Types of mulching include bark chips and shallow rooted ground covers. Pests and diseases – Maintain a spraying programme using a rose cocktail of a fungicide and an insecticide. In Summer spray roses fortnightly to prevent attacks. Dead-heading – The removal of spent flowers encourages the production of new flowering shoots. Make the cut just above the third leaf below the dead head.